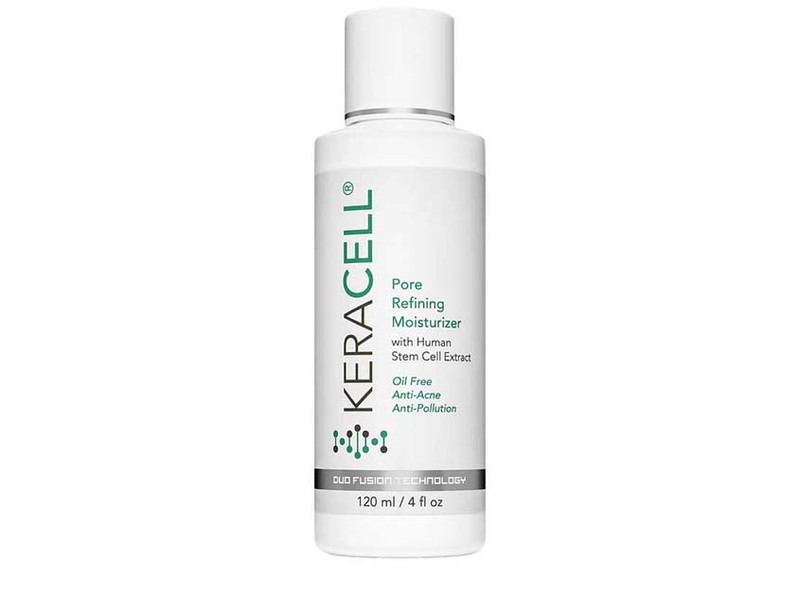 KERACELL® Pore Refining Moisturizer is an oil free, hydrating emulsion that features award winning Miniporyl a standardized Red Clover Flower Extract that decreases sebum production and helps minimize the appearance of conspicuous pores. Exo-P, a unique exopolysaccharide from Kopara, helps shield against urban pollution and smog restoring dry, dull and tired looking skin and helps prevent irritation and premature aging. Skin appears more luminous and healthy. Water/Aqua, Carthamus Tinctorius (Safflower) Oleosomes, Human Stem Conditioned Media, Propanediol, Chondrus Crispus Extract, Sodium Hyaluronate, Tremella Fuciformis Sporocarp Extract, Betaine, Glycerin, Isopentyldiol, Trifolium Pratense (Clover) Flower Extract, Epilobium Angustifolium (Rosebay) Flower/Leaf/Stem Extract, Acrylates Copolymer, Lecithin, Butylene Glycol, Alteromonas Ferment Filtrate, Cyclopentasiloxane, Polyamide-5, Panthenol (Pro- Vitamin B5), Tetrahexadecyl Ascorbate (Vitamin C Ester), Tocopheryl Acetate (Vitamin E Acetate), Caprylyl Glycol, Ethylhexylglycerin, Natural Fragrance.